Sheffield Resources has received a mining lease for the Thunderbird mineral sands project in the Kimberley region of Western Australia. The lease was granted by Western Australia’s Department of Mines, Industry, Regulation and Safety. It means that Sheffield now only requires Federal Government environmental approval in order to begin operations, which are expected to start in 2020. 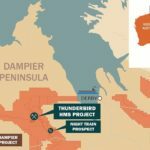 The Thunderbird project, which is roughly halfway between the towns of Derby and Broome in northwestern WA’s Dampier Peninsula, is expected to have a 40-year mine life and will provide 280 full time drive-in, drive-out (DIDO) jobs. Sheffield is also aiming to represent a 40 per cent Indigenous workforce by the eighth year of the project. It has a mineral resource of 3.2Bt at 6.9 per cent heavy minerals (HM), including 18.6Mt of zircon, 5.9Mt of titanium-hosting leucoxene, 6.5Mt of leucoxene and 61.7Mt of ilemnite. The company last month secured a national native title tribunal (NNTT) victory against traditional owners group Mount Jowlaenga Polygon #2, which filed an appeal alleging Sheffield hadn’t acted in good faith regarding time periods for mining negotiations. 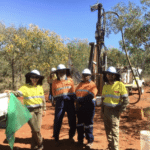 “Thunderbird has a mine life of more than 40 years and this milestone enables us to deliver on our commitments to Traditional Owners and local communities,” said Sheffield Resources managing director Bruce McFadzean. 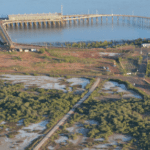 Last week, Thunderbird received a large boost when the Northern Australia Infrastructure Facility (NAIF) approved $95 million in loans for development and shipping, including the construction of onsite LNG power generation.